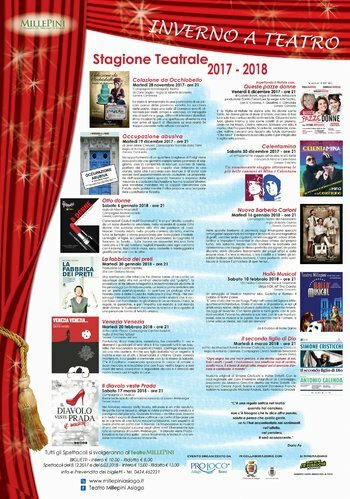 Also for the winter season 2017-2018 the Teatro Eliseo di Asiago organizes an interesting theatrical, full of events to spend evenings together through culture. 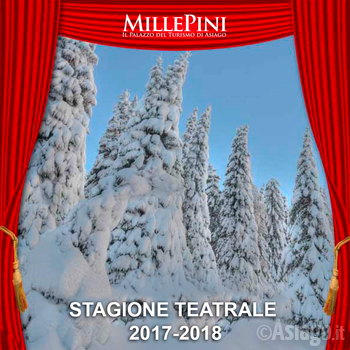 Since November 28, then continue until March 17, on the stage of Millepini will be great classics and contemporary works, comedy, music, and more for a really not to be missed! All shows will begin at 21.00 hours.